← Launch of Green Johannas at Bishop Luffa School, Chichester. Share your ideas for greening up Sussex. 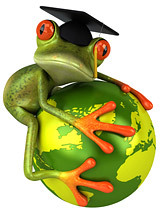 Or tell the world about your eco projects in your very own category under “Sussex Schools Green Blog”. This new communications tool will enable schools, nurseries and children’s groups in Sussex to promote your organisation/group and give children an opportunity to put into practice their ICT skills on the World Wide Web! Publish quarterly, monthly, weekly, ad hoc or just once, the choice is yours. All you need to do is decide on what you want to publish, write the copy, get it signed off in the nursery, school or children’s group and decide who is going to be the Sussex Green Living editor for your organisation. Once signed up as a contributor, all your editor needs to do is select “add new post”, type the blog (it is just like a Word document), add photos, music, videos or pdf documents if they want, then select category “Sussex Eco School Blog” and the sub category “William Penn School” for example and off you go publishing on the World Wide Web*. Learn how to become a contributor here. Children and nature, Green art and games, Green stats, facts and news, Green Suppliers, Photo galleries and Seasonal celebrations. We will constantly be reviewing and adding categories. 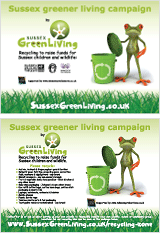 Come on Sussex Schools, nurseries and children’s groups, share your ideas for greening up Sussex! * Once you have posted your blog it has to be approved by the Sussex Green Living webmaster. This entry was posted in Eco School Bishop Luffa, Eco School Shipley, Eco School Sussex blogs, Eco School West Chiltington, Eco School William Penn. Bookmark the permalink.